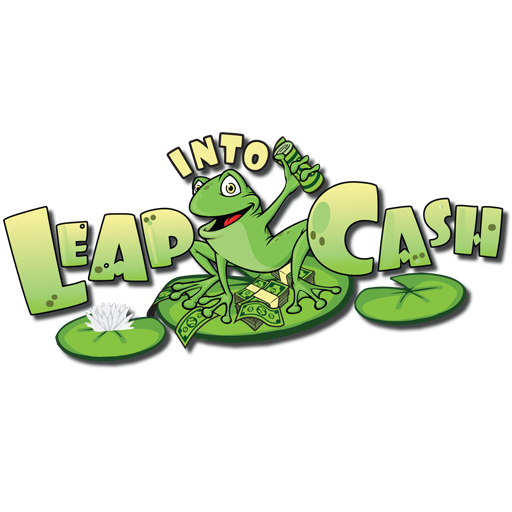 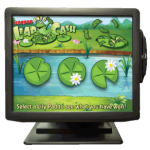 Leap Into Cash from SCA Gaming delivers a number of game play options designed to address many of your marketing objectives. 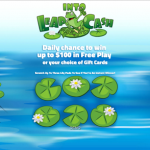 Each game platform offers a solution to needs that vary from building club membership, increasing time on device, driving additional visits on targeted dates and rewarding desired behaviors. 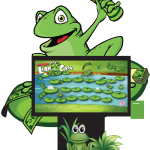 Our cheerful lily pad game board comes complete with whimsical frog game pieces and “bug” envelopes. 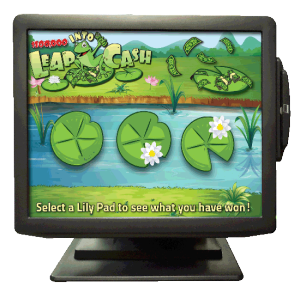 Contestants choose 4 bugs from the pond surround. 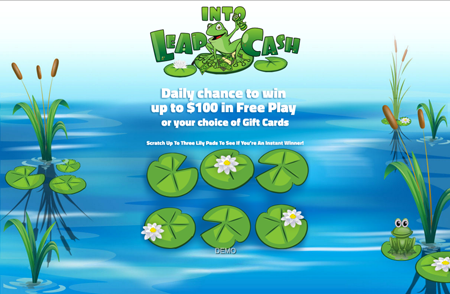 Each chosen bug will advance the player across the lily pond. 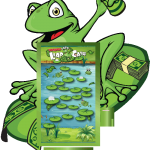 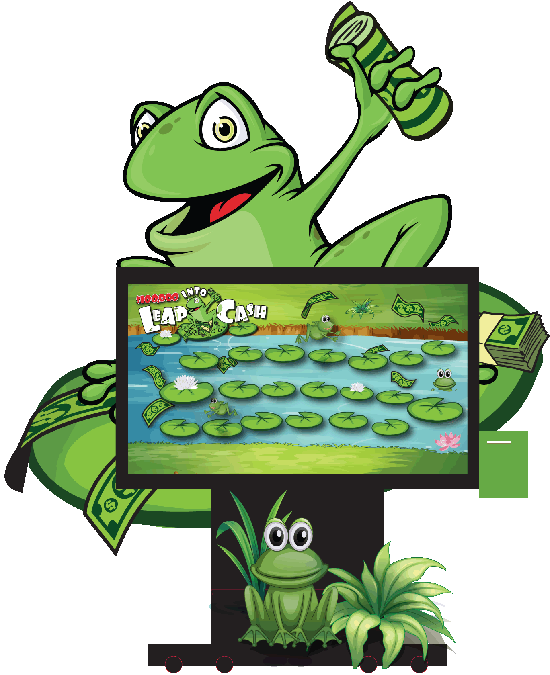 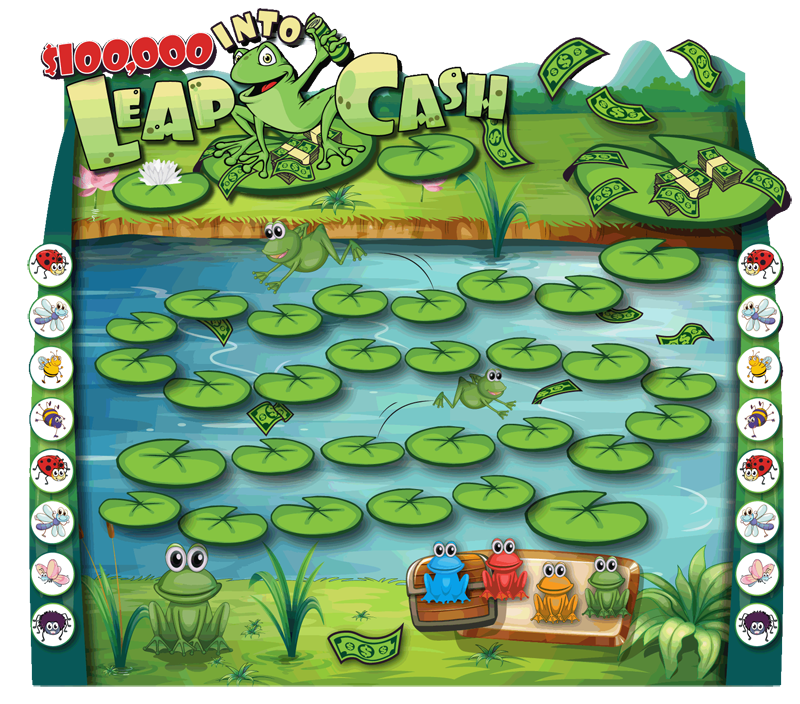 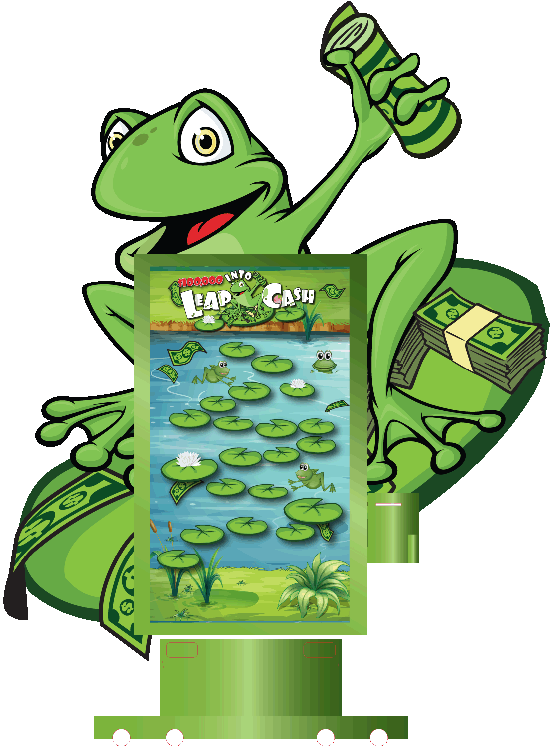 Every lily pad has a prize value as players accumulate prizes hopping from lily pad to lily pad. 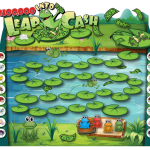 Reaching the top of the pond in 4 turns earns the player the $100,000 grand prize!